Quiet, private corner/end unit w/GARAGE space which is rare in this building. High ceilings, 12'' thick concrete floors/ceilings. Laminate hardwood floors. Open floorplan w/bedrooms on opposite ends. VERY spacious owner suite w/walk-in closet. 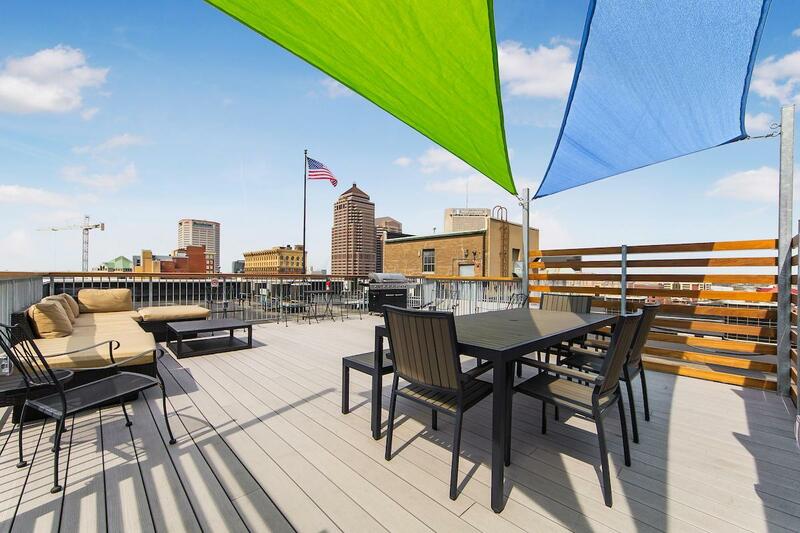 ROOFTOP DECK renovated last year. New lobby & hallways this year (this building has a very active & responsible condo association in a very healthy financial situation. On-site newly remodeled fitness room, conference room & rare private, secure storage room in basement. INTERNET-CABLE-WATER included in condo fees! Electric is only bill & it's LOW! 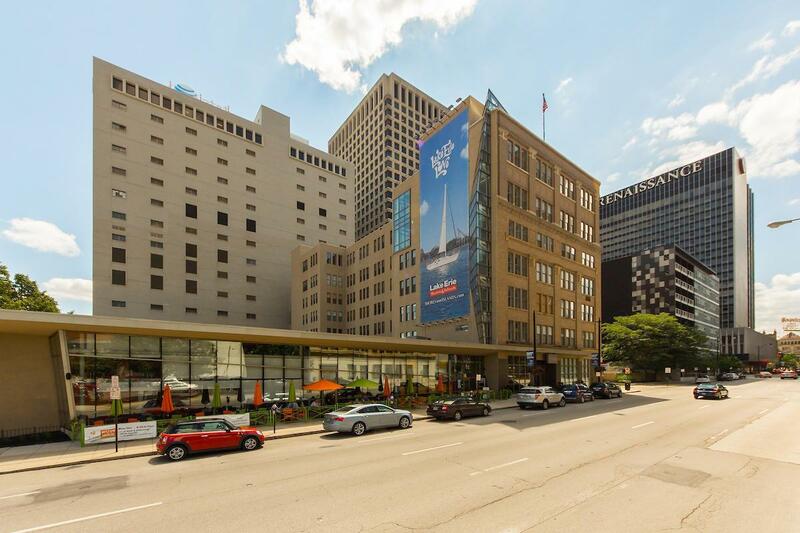 Conveniently located in the heart of downtown's most popular neighborhood. WALK TO EVERYTHING! 1 block form FREE CBus stop.